For some, the idea of a premarital agreement zaps the romance right out of the marriage before it even begins. This doesn’t have to be the case if you think about the premarital agreement as a financial planning tool, rather than a line drawn in the sand. Prenuptial agreements are designed to protect your assets during marriage. The agreement details the assets and liabilities of both parties prior to marriage and details each party’s rights and obligations to the other’s income earned during marriage. Engaged couples who fear a premarital agreement will cause strain on the marriage before it even begins often attempt to protect assets by setting up separate bank accounts for their separate property, ensuring no community assets are ever commingled into the account during marriage. Kelly McClure, managing partner and CEO of McClure Law Group, cautions that such measures might be insufficient to protect your fortune. “Interest accrued during the marriage, salary earned during the marriage, and cash dividends distributed during the marriage will all be community property without a premarital agreement stating otherwise,” she says. “If you keep your money owned before marriage in a non-interest-bearing account and do not deposit funds earned during the marriage into that account, then that will work to clearly identify and protect your separate property upon divorce, but who wants to keep money in a non-interest-bearing account?” Hence, the need for premarital agreements. The future spouse who is wealthier needs to know that the more one-sided the agreement, the more likely it will be attacked upon divorce. “This means that the wealthier future spouse has an incentive to make the agreement attractive to his or her fiancé,” Epstein says. So how do you ask your fiancé to sign a premarital agreement without causing strain during what is intended to be a happy, celebratory time? The answer lies in the actual terms of the premarital agreement. To make a premarital agreement more attractive to the party with less money, McClure suggests the wealthier party fully understand his or her goals. “For example, if the wealthier party just wants to protect assets that were owned before marriage and the income and interest generated from those assets during the marriage, then the premarital agreement does not need to change the characterization of the parties’ salary earned during marriage,” she says. And on the topic of lawyers, both parties to a premarital agreement should have them. 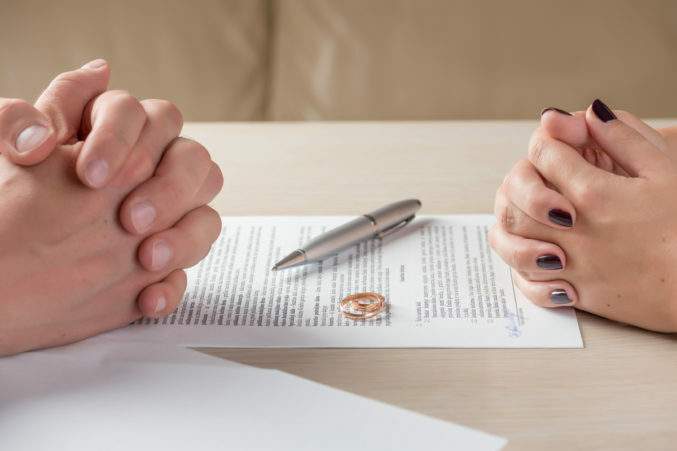 The terms of a premarital agreement can be broad and diverse, often leading engaged couples to wonder if there is anything prohibited from being included in a premarital agreement and enforced? The answer is yes. And on the topic of lawyers, both parties to a premarital agreement should have them. Premarital agreements proven to be signed “involuntarily” by one side will not be enforced by a divorce court. If each party has independent representation, it will help to negate any potential argument upon divorce that the premarital agreement was not signed voluntarily. This post was created by D Partners Studio on behalf of McClure Law Group. Kelly McClure is a collaborative law leader and Board Certified in Family Law by the Texas Board of Legal Specialization. She is the principal and CEO of McClure Law Group and leads her law firm with more than 25 years of mediation and trial experience. Robert Epstein is a partner at McClure Law Group who is also Board Certified in Family Law by the Texas Board of Legal Specialization. McClure Law Group provides clients with extraordinary expertise in every method of resolution for their family law concerns. Visit mcclure-lawgroup.com to learn more about how to protect yourself and your fortune during divorce.